Follow the instructions on the bisquick box and use the milk to make the biscuits. 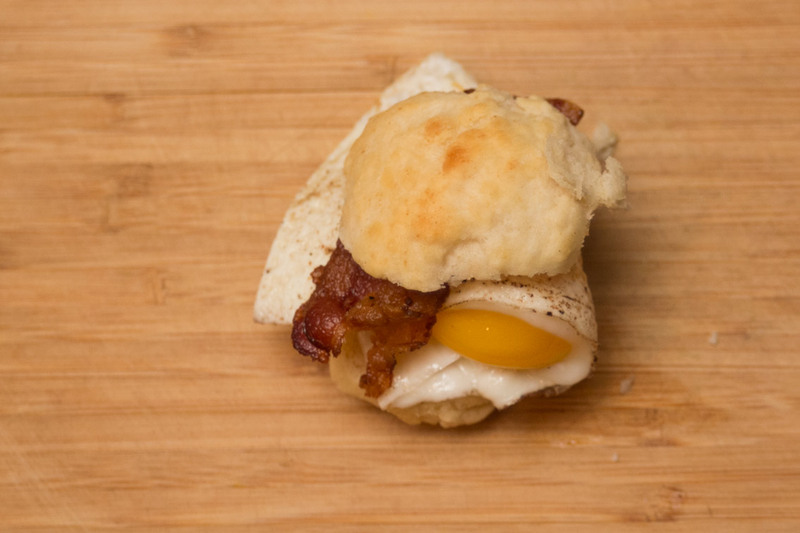 Once the biscuits are in the oven, grab a frying pan and start cooking the bacon. When the bacon is just about finished cooking toss in a couple eggs and cook until done. 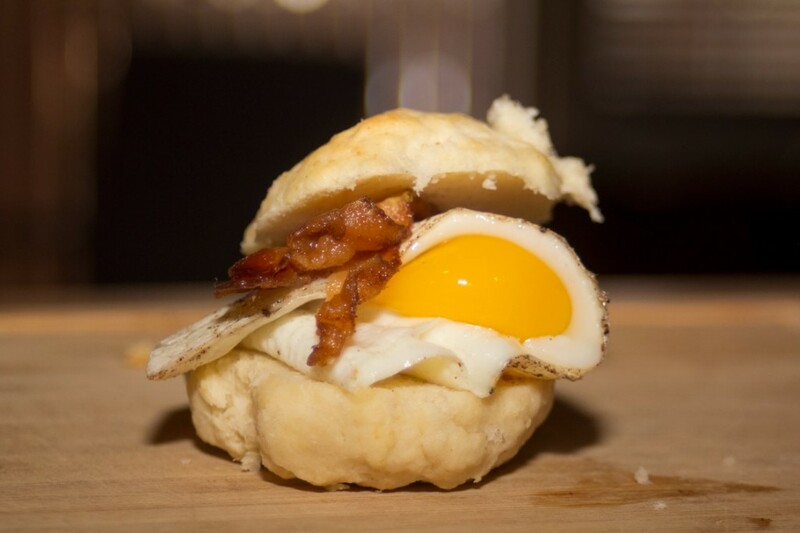 Cut your biscuits in half when they come out of the oven and fill with bacon and eggs (and optionally cheese). Throw some butter in the frying pan and on the biscuits. Cook the eggs longer if you don’t want them runny. Thanks for visiting BachelorCooking.us ; We hope you enjoy these recipes.